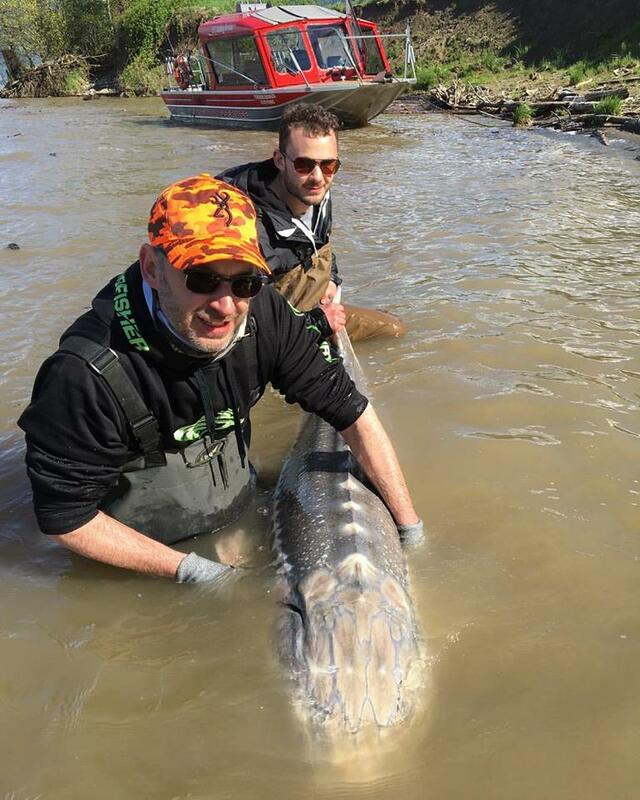 As you can see by the above picture, there are some monster sturgeon out there to be caught. Best bait right now is salmon parts but the standard lamrey, pike minnow and eggs are always a good choice. 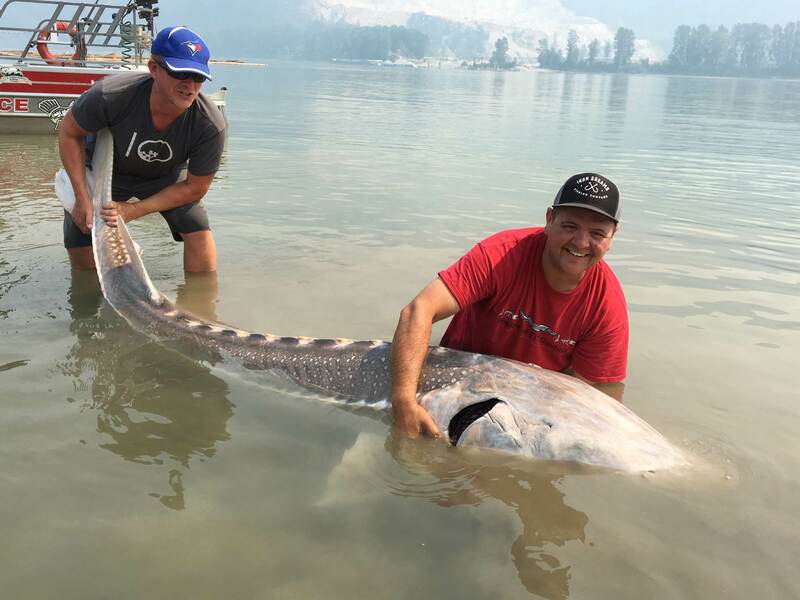 Sturgeon fishing has been steady action in the Mission area, a bit slower up river but some big fish around if your not looking for numbers and put in your time. After all sturgeon fishing is not about how many fish you can out in the boat, it’s about fidning that one or two quality fish. 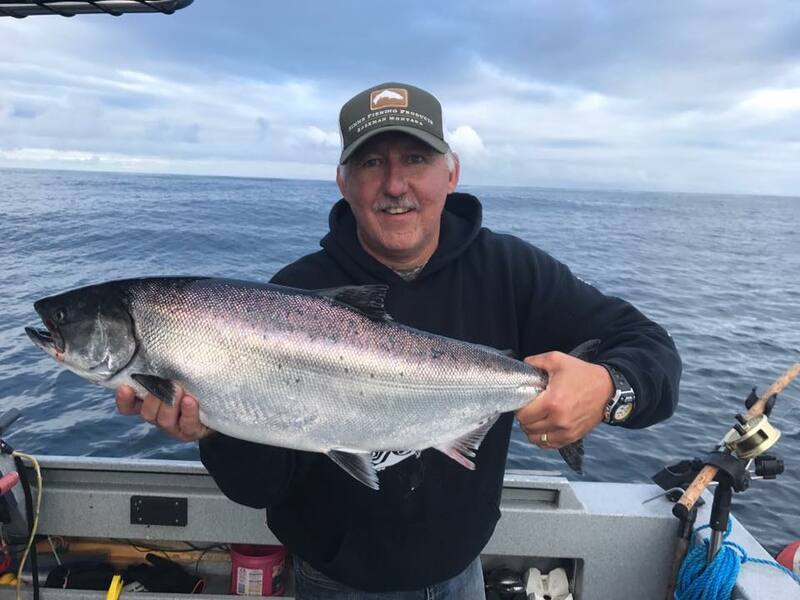 Salmon fishing out of Vancouver has been good this past week, Thomas was out for a full day trip on Tuesday and put 6 nice Chinook in the boat and released a few wild Coho. There are a few pink salmon starting to show up bu the bulk of them are still migrating along the coast and are about a week away. Our west coast lodge packages are wrapped up for 2017 but we are already selling and booking for 2018 which should be one of the best years ion the 4 year cycle. 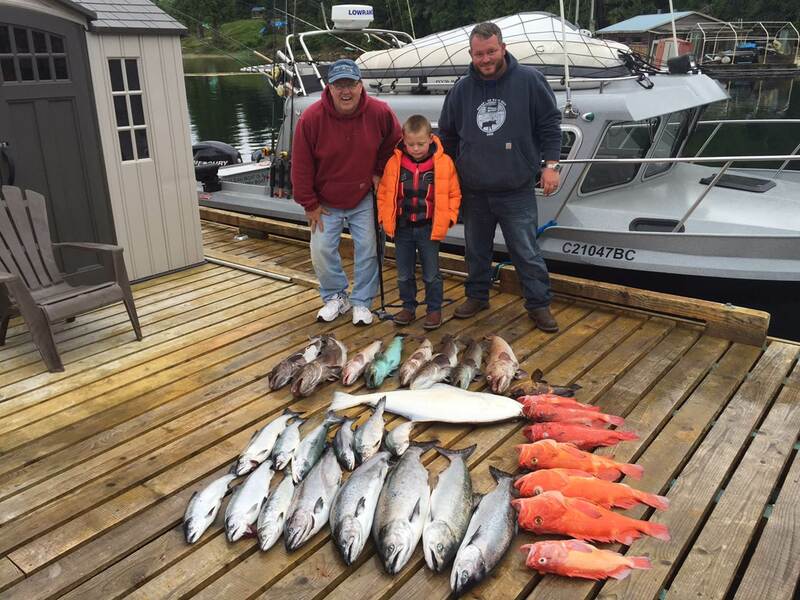 You are currently reading August 20 Fishing Report Update at Hells Gate Jet Boat Tours Blog.